As the 59th Annual USHA National Junior 4-Wall Championships approaches, Tucson’s two-time junior national champion Jesus Avila eagerly awaits the opportunity to add to his national championship total on his home court at the Tucson Racquet Club. 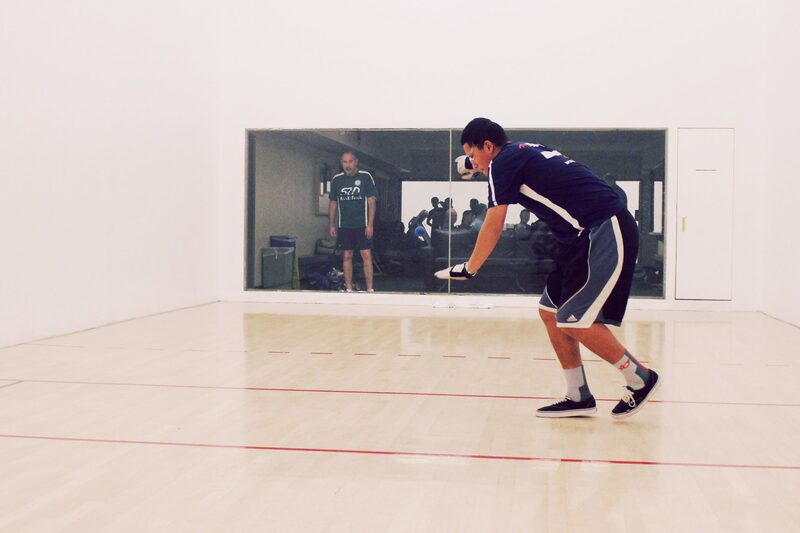 Jesus Avila, known as “Zeus” in the Tucson handball community, practices five days a week in preparation for big events. Zeus started playing handball at the age of 10, learning the strokes and developing a love for the game with his three brothers at Tucson’s Freedom Park, one of the Southwest’s premiere 3-Wall courts. Five years later, Zeus plays most of his handball at the Tucson Racquet Club under the watchful eye of his legendary coach, Fred Lewis. Zeus’ brothers Juan, Jorge, and Cesar also train at the Tucson Racquet Club, with each of the brothers boasting top-five national rankings in their respective age divisions. Zeus, Juan, Jorge, and Cesar are four of the over 40 junior handball players that are members of the Fred Lewis Foundation, an organization designed to enrich the lives of children through handball. Zeus considers winning the 15-and-under singles at the 2014 USHA National Junior 3-Wall Championships in Boulder, CO to be his greatest handball accomplishment to date, defeating rivals Edwin Laredo and Agustin Santiago en route to the title. Jesus also faces stern competition on his FLF team, as he and his contemporary Alan Cheng battle regularly at practices and in tournaments. Zeus’ goal is to become one of the top pros and to follow in the footsteps of his favorite player and handball idol, Luis Moreno. Zeus considers his best shot to be his right-hand kill shot, but spends most of his time practicing his left-hand and ceiling shots as he prepares for tournaments. Despite winning the 15-and-under singles at the 2014 USHA National Junior 3-Wall Championships, Zeus’s favorite code of handball is 4-Wall. Zeus loves handball because the game forces him to use both hands and always be moving. Zeus preaches working hard, never becoming angry on the court, and always trying to grow the game as the blueprint to becoming a top handball player and ambassador.